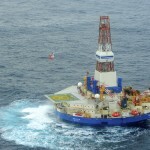 The 266 foot diameter Shell oil exploration rig Kulluk went aground in the Gulf of Alaska off Sitkalidak Island, Alaska. 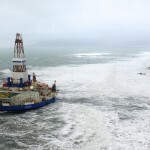 The rig was en route to Seattle for maintenance under the tow of the 360 foot long tugboat Aiviq when it encountered heavy seas and strong winds. The Aiviq suffered a power blackout when its engines failed. 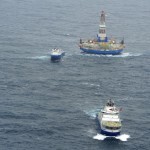 Both vessels went adrift some 50 miles from Kodiak Island. 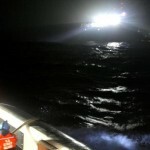 The crew requested assistance with a coast guard cutter and another tug dispatched to the scene. The tug Guardsmaan arrived and took the Aiviq under tow. Shortly afterwards, the weather caused the towline to separate. 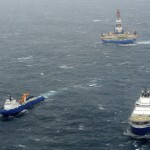 Several attempts to keep the towline connected failed as the vessels continued to drift closer to Kodiak Island. 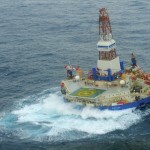 A total of 18 crewmen were airlifted off the Kulluk to safety by Coast Guard helicopters. 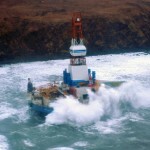 The storm increased with 30 foot waves and 70 mph gusts as the Kulluk ran aground off shore. No reports of injuries. 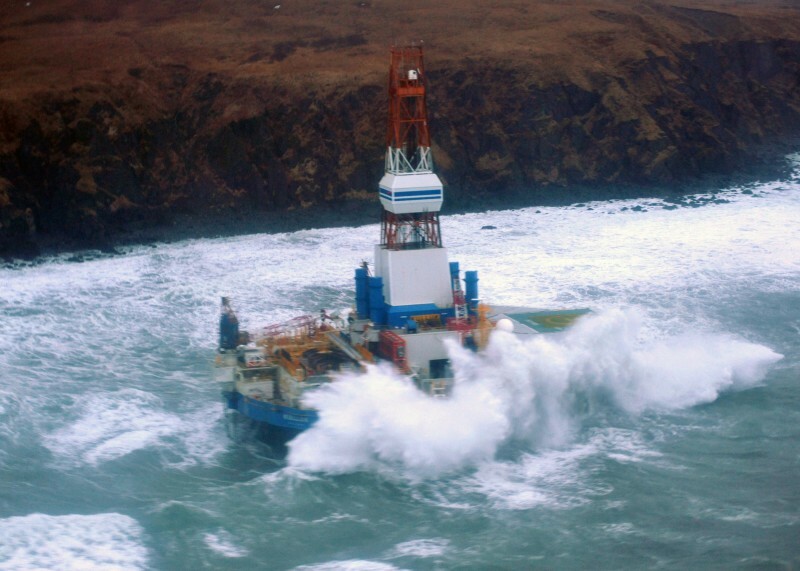 Severe weather around Kodiak Island was continuing to impede salvage operations involving the Kulluk. 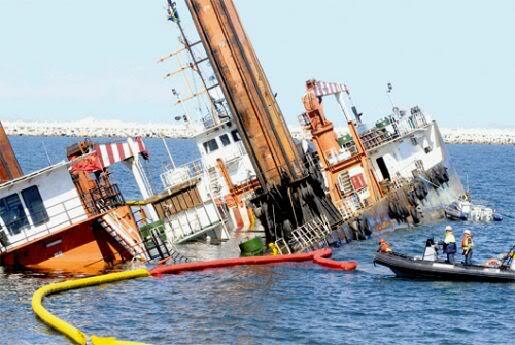 Crews have not been able to directly assess the situation on the oil rig. A Coast Guard helicopter did a visual inspection of the Kulluk and found the hull intact and no signs of pollution released. The Kulluk had some 150,000 gallons of diesel fuel, hydraulic fluid and lubricating oil on board at the time of the grounding. The Coast Guard cutter Alex Haley and an additional support vessel are standing by to assist as needed. Unified Command continues to implement contingency plans, including staging spill response equipment to the area. The priorities for Unified Command continue to be the safety of personnel and the protection of the environment. Nearly 600 people are involved in the response. 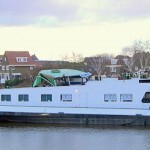 The 110 meter long self-propelled tanker barge Pallas allided with a bridge on the Zwarte near Hasselt, Netherlands. The Pallas was passing under the bridge, but was unable to lower the wheelhouse before the vessel struck. The wheelhouse was completely destroyed, but the three crew on board were uninjured. A small amount of smoke appeared after the allision, but no fire. The Pallas was loaded with 2300 tons of diesel fuel at the time. No reports of any pollution released. 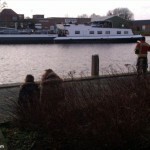 A tug arrived later and pushed the disaled Pallas to a nearby quay. 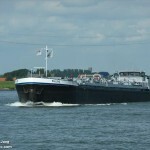 The Pallas had left Zwartsluis and was en route to the port in Zwolle.